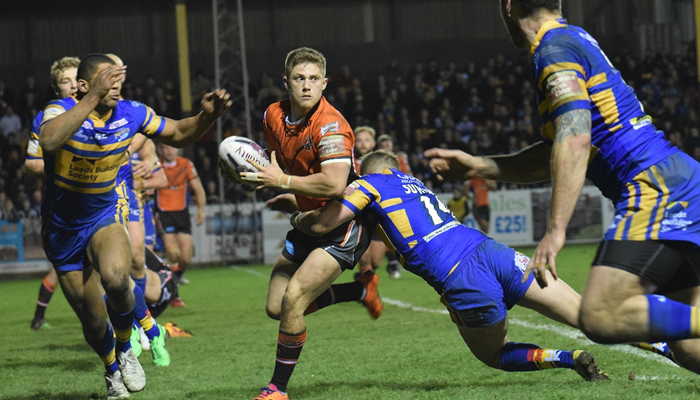 Challenge Cup holders Leeds Rhinos return to league action to take on Castleford Tigers after being dumped out at the first hurdle last weekend. Having won the cup 50-0 against Hull Kingston Rovers last season, the Rhinos’ defence of the prestigious trophy faltered against Huddersfield Giants going down to a 36-22 defeat. It was the second time in as many week that the two clubs came together with Huddersfield winning the league fixture 28-20. Eager to end their three game losing run the Rhinos host Castleford Tigers who sit eight in the table, who themselves ended three consecutive defeats by progressing into the next round of the Challenge Cup by winning 32-18 at home to Salford Red Devils. A win for the Tigers could see them climb as high as 6th if results go in their favour. Leeds have been boosted by the return of captain Danny McGuire who is set to return after a four-week layoff. The half-back suffered an opening round knee injury which kept him out of action for some time before making a two-game return last month but again was ruled out through injury. He replaces Jordan Baldwinson in an otherwise unchanged side from the one that tasted defeat in the cup. Daryl Powell has named Nathan Massey in his 19-man squad despite the forward suffering a dislocated knee inSunday’s win over the Red Devils. Recent signing Danny Tickle also retains his place after being a late replacement. Published on May 11 2016 for Rugby AM. St Helens take on Salford Red Devils at Langtree Park turning their attentions back to the league after both exited the Challenge Cup last weekend. Saints slumped to a 47-18 home loss to the in-form Hull FC with the visitors running in eight tries in the process. The manner of the defeat will have been most disappointing for head coach Keiron Cunningham with his side convincingly beaten – in particular the forward pack. Salford too were dumped out of the cup losing 32-18 to Castleford Tigers at the Mend-A-Host Jungle with Paul McShane putting in a man-of-the-match performance. The Tigers were missing seven senior players through injury but defied their woes to book their place in the quart-finals. The Red Devils took a step in the right direction as they looked to overturn their six point penalty for salary cap breaches by beating Hull Kingston Rovers 44-26 last time out in the league and will be looking for a response to their cup exit. Saints will want avenge their defeat to Salford earlier in the season which saw the club on the wrong end of a 44-10 hammering at the AJ Bell Stadium. In terms of team news the home side welcome back Adam Swift from injury with Andre Savelio also recalled with the duo replacing Joe Greenwood and Shannon McDonnell. Their opponents Salford have also made two changes with Tommy Lee and Josh Griffin ruled out through injury allowing Logan Tomkins to return from suspension along with Junior Sa’u and Gareth O’Brien passed fit. Published on May 13 2016 for Rugby AM. Sam Tomkins is expected to make his long awaited return to Super League when his Wigan Warriors side host Hull FC on Friday night. Tomkins is yet to feature this season after suffering a knee ligament injury whilst playing for New Zealand Warriors last year but after returning to full training Shaun Wane stated he will play some part at the DW Stadium. On the pitch, the Warriors eased into the next round of the Challenge Cup with a 54-4 win over Championship side Dewsbury Rams with Josh Charnley, Oliver Gildart and John Bateman all grabbing braces in their ten try drubbing. But the Cherry and Whites come up against much sterner opposition in Hull FC who are looking for their ninth victory in ten games making them one of the form teams in the competition. The Black and Whites, like their opposition, booked their place in the next round of the Challenge Cup with a well-deserved 47-18 victory at Langtree Park over St Helens. Lee Radford’s side ran in eight tries including a brace from Scott Taylor to earn their fourth consecutive win in a row at the home of the Saints. A victory for either side would see them draw level at the top with Warrington Wolves pending the outcome of their fixture on Sunday. Wigan bring back three key players to their 19-man squad with Sam Tomkins, Joel Tomkins and Tony Clubb all set to return in place of Greg Burke, Nick Gregson and Jack Wells. For Hull FC they make two changes from the side that beat Saints last weekend with Sika Manu and Steve Michaels returning to the fold. Manu, who had been on international duty, comes straight back into contention but there is no place for Frank Pritchard who copped a one-match suspension whilst captaining Samoa. Huddersfield Giants will want to build upon their recent successes when they travel to the Stade Gilbert Brutus to go head-to-head with Catalans Dragons on Saturday. The French side suffered their first defeat in eight games in the league narrowly losing 28-26 at the KCOM Stadium to Hull FC but returning to winning ways the week after by knocking Batley Bulldogs out of the Challenge Cup 40-4. Two points for Laurent Frayssinous’ men would see them climb level at the top with Warrington Wolves pending their result on Sunday whereas a victory for the Giants could see them climb to 9th. 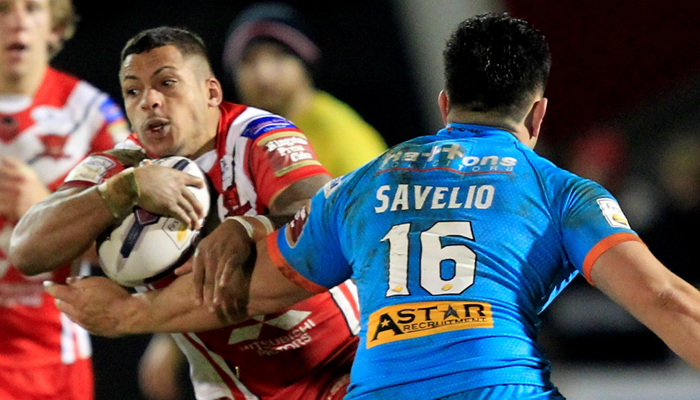 The two sides met in round six of Super League with Catalans prevailing in a 46-26 win at the John Smith’s Stadium. A game which saw Jodie Broughton score a second-half hat-trick to haunt his former employers. Catalans Dragons are still without the injured Dave Taylor and Jason Baitieri but have been rejuvenated by the inclusion of half-back Todd Carney and young reserve grade forward Romain Navarrete. Head coach Paul Anderson makes just the solitary change from the side that progressed in the cup which sees Jamie Ellis return from injury in place of Jared Simpson.